A big thank you to the Derby Scouts Stamp and Deliver for the generous donation!!! Congratulation to Ryan Cooper cycled 1066 miles from Land’s End to John O’Groats to raised £2,512.40 for mental health charity Derbyshire Mind. Ryan was supported throughout the ride by mum Monica and brother Gavin, who completing the journey alongside him in the ‘TEAM ry support car’, which has been designed and produced free of charge by OMG Signs of Little Eaton. Brooksie’s Bash Trail Run 2018 for their fantastic achievement, raising £500 for Derbyshire Mind! 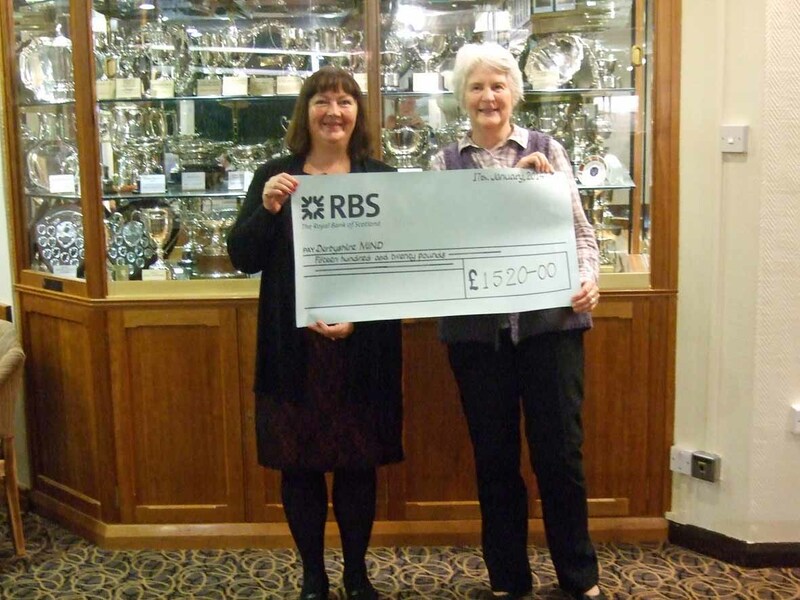 Thanks to Monica Cooper who raised a total of £104.03 in her 50-50-50 challenge. Monica undertook 50 lengths of Belper Swimming pool 50 times, swimming 39 miles in total. Thanks Monica! Thanks and congratulations to all those from Heanor Running Club who took part in the Shipley Park Pudding Run in November in aid of Derbyshire Mind. They have raised £1,000!!! This is greatly appreciated and we hope that all who took part in this event know how grateful we are and that you all enjoyed it!!! 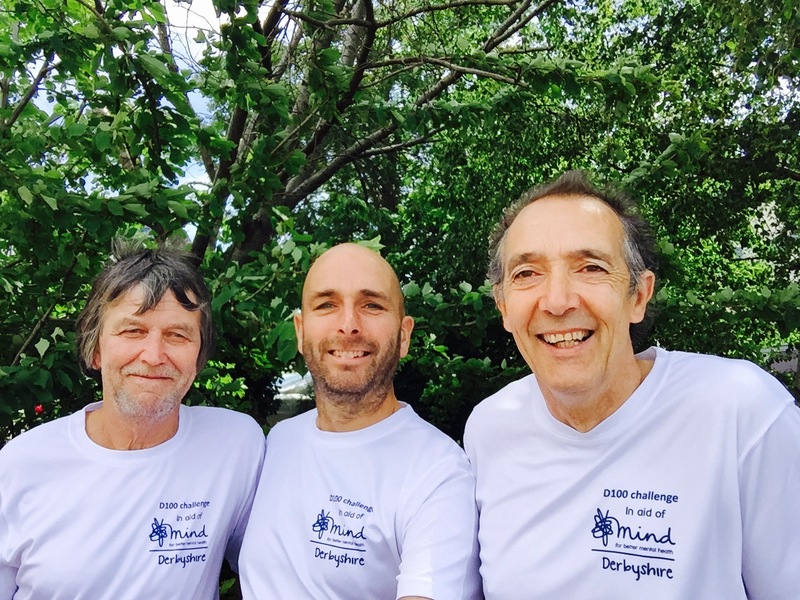 Derbyshire Mind would like to send our appreciated to the Beauchief Abbey Lodge for their support and fundraising efforts in 2017. The Provincial Grand Lodge of Derbyshire.The Lodge also took part in our Living Advent Collection and we were able to donate several boxes of toiletries to the North and South Mental Health Crisis Teams solely from their collections. Our thanks to Toyota who surprised ourselves and many other local charities with a donation to help our work. Derby Homes continue with their range of internal initiatives to raise funds for Derbyshire Mind who are their charity of the year. Since April they have raised a fantastic £1307.23 for Derbyshire Mind through the donations via ‘dress down for work on Fridays’. 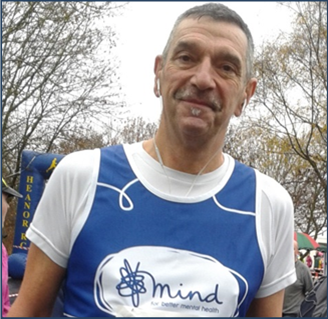 A further £112 was raised by Pete Howell, Steve Hawksworth, Liz Hoddinnott and Charlotte Dodds in sponsorship money when they took part in the Derby 10k run. £556.50 was raised by Jennifer Morgan, Emma Johnson-Beale, Lisa Willis & Leon Taylor when they did a sponsored silence back in June. Alice in Wonderland – our thanks go to Rebecca Saville and her colleagues and fellow students at Chesterfield College who are currently planning an Alice in Wonderland themed event. The event will be taking place on the 18th of May and will comprise of a dinner, quiz and other activities. We look forward to letting you all know how this goes and appreciate the hard work that has gone into this largely by Rebecca. 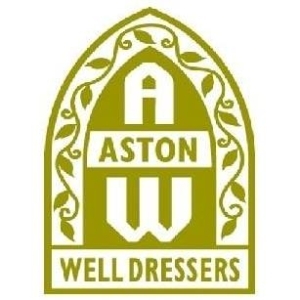 Derbyshire Mind is pleased to announce that we have been chosen as one of the beneficiaries of the Aston Well Dressers charity fundraising for 2017. In 2017 Derbyshire Mind will be celebrating 50 years of service to our community and we are delighted to announce at the start of this special year, that we have been chosen as the lead charity by Lubrizol based in Hazelwood in Derbyshire. Lubrizol has a long history of providing support to their chosen charities both locally and nationally through employee fundraising initiatives and volunteering time to help with charity events and initiatives. The 66th Derby and 1st Spondon Scout Group who have been holding a range of events in aid of Derbyshire Mind, they will be continuing this work as the year goes on. To mark World Mental Health Day, Shelton Striders are hosted a #runandtalk night as part of England Athletics national event. Foremarke Hall at Milton will be the venue for the inaugural Brooksie’s Bash 10 mile Trail Race and 3 mile walk on July 17th. 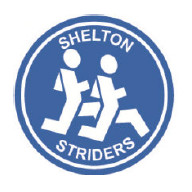 The event is organised by Shelton Striders in partnership with Derbyshire Mind’s ‘Enjoying Derby’ project, with the proceeds going to the charity. Mental health is a hot topic in the media at the moment from Prince Harry championing the “hidden injury” at the Invictus Games to employers introducing training. Shelton are working with Derbyshire Mind and have four Mental Health Ambassadors promoting running and exercise as a way to a healthy mind. Derbyshire Mind support people at a local level to provide advice and support to empower anyone experiencing a mental health problem, also campaigning to improve services, awareness and promote its understanding. They do not receive any central funding, so events like this are key to ensuring they can give continuing support to the local community. 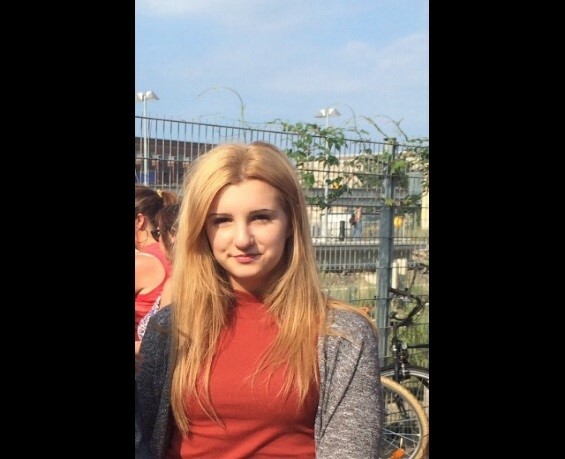 “Hi I’m Siobhan Dalton, I am 16 years old and am giving myself the challenge of raising money for Derbyshire Mind by doing a Skydive from 12,000 feet!! Derbyshire Mind is a local mental health charity which plays the important part of supporting people who are living with or recovering from mental ill health in Derbyshire. I chose this charity as I feel that many people don’t think about mental health as much as other charitable causes, by doing this event I hope to increase awareness. Please support me in my aim to raise as much money as I can for this Charity! Dave Thornton, Harry Sloan and Andy Brooks are three aged (their own words!) running enthusiasts from Derbyshire with a combined age of 174. This summer they attempted to enter the record books by completing a gruelling feat that nobody has ever achieved before. They ran the length of Derbyshire non-stop using footpaths and bridleways. Their journey of almost exactly 100 hilly, muddy and rocky miles took them from the Dark Peak summit of Black Hill in the north to the village of Clifton Campville in the south. Why on earth would they want to do that you may ask? Well….in addition to showcasing Derbyshire as one of the best places on the planet to get out for a run or walk, they would like to raise awareness of the benefits to mental wellbeing that can be gained from running/jogging/walking in the great outdoors, and raise funds for a local charity – Derbyshire Mind. 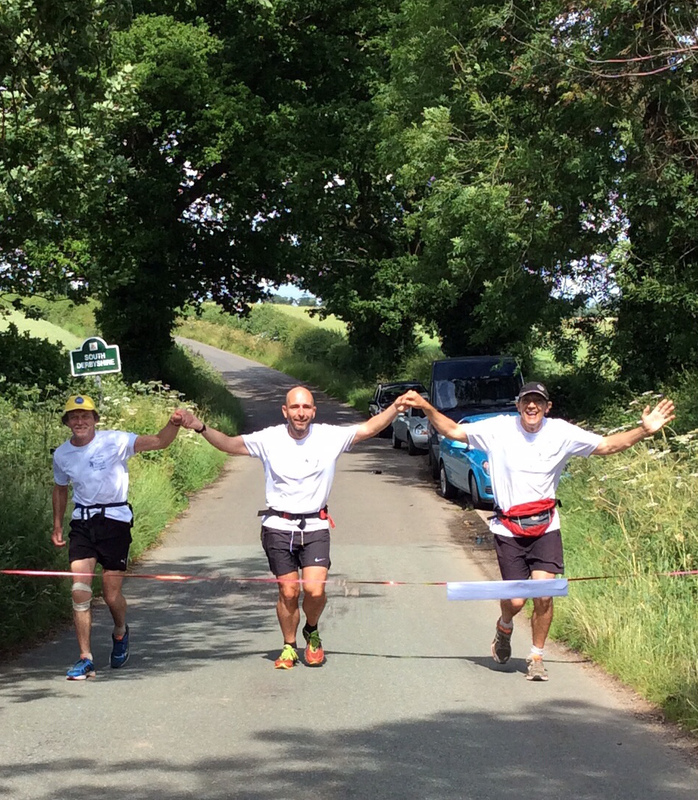 They all successfully crossed the finish line on the Derbys/Leics border 31 hours 23mins later at 3:31pm on 28th June. My name is Ed Watkins and I will be taking on a huge personal challenge in 2015. Starting in April – I`m taking part in the Derby 10k road race. the intention is to achieve a PB for this course.Then in May I`m off to Belfast – my first (and probably last) attempt at a full marathon. The aim here is to finish !The third leg in in June with a return to Derby for the Ramathon, another PB would be good. In our fast passed world, more and more of us are being affected by mental health issues and have injuries that are invisible but just as serious as a more obvious injury. Derbyshire Mind is committed to working for improvements in local mental health services, making it possible for people with mental health difficulties to voice their own opinions, offering quality services, challenging the stigma attached to people labelling “mentally ill” and increasing public understanding of mental health issues. “Following a physically and mentally draining 24 hours, the team managed to return safe and sound. We all faced some very difficult conditions, but it was a good feeling to reach the bottom in under 24 hours. We started the ascent of Ben Nevis at 5.13pm with high spirits, which resulted in Ben Nevis being conquered in just over 4 and a half hours. A great achievement in itself, made even better by the beautiful views we had on the descent. Sadly, Scafell Pike was very different. To start with, there was a mix up in car parks which caused delays and ultimately resulted in three members of the team not carrying on after they put in a valiant effort to try and rejoin the group. If this wasn’t enough to dent the moral, we had to battle through very difficult conditions to reach the sumit. Then to make matter worse, the very poor visibility at the top caused us to get disorientated on the way down. Luckily after a panicky 15 mins, we managed to gain our bearings and begin the descent safely (much thanks to Justin!). We finally reached the bottom of Scafell, soaked through and very cold, in just under 4 hours. With the moral of the group dented, two cars continued on to take on Snowdon. We arrived at Pen-Y-Pass at around 1.55pm, knowing that if we were to beat the 24 hour deadline we were going to need to complete Snowdon in around 3 hours. However, the mountain had other ideas. After battling through the worst rain imagineable and winds of around 70mph, we reached just over 900m of the 1050m before deciding that carrying on was just too dangerous. Accepting that fate was against us, we turned and made the slow descent back down the mountain, arriving at the finishing point at 5.10pm and giving us a finishing time of 23hrs, 56mins and 41secs. Although we couldn’t reach the top of Snowdon, it is a huge moral victory to do what we did within the 24 hours…especially considering the slow pace we had to endure on Snowdon because of the weather. A lessons learnt log is already being collated, with the early idea floating around to re-do the challenge in the future with better weather. On behalf of the team, I just want to say a huge thanks to everyone who offered to sponsor us in doing this challenge. We have managed to raise an unbelievable amount of money for a really good cause, so a big thanks to you all. Once we have the sponsor form back, I will send it round to start collecting the donations”. 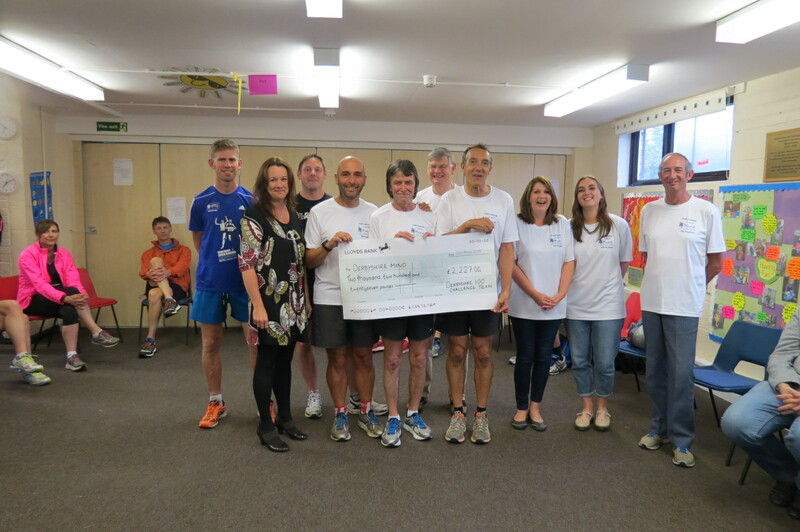 The amazing D100 team who ran the length of Derbyshire for their chosen charity. 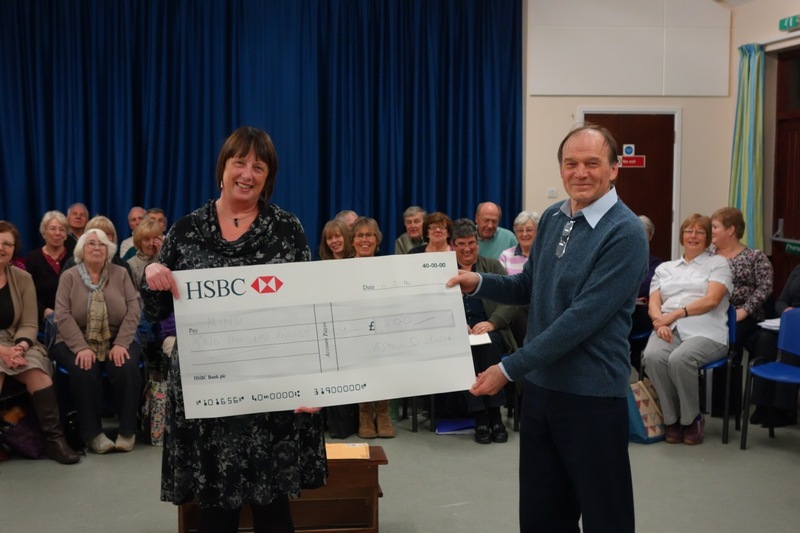 Raised £700 for one of their chosen charities Derbyshire Mind. You can see more or sponsor any of our fundraisers by visiting our Mydonate page.